Some ideas are just genius. 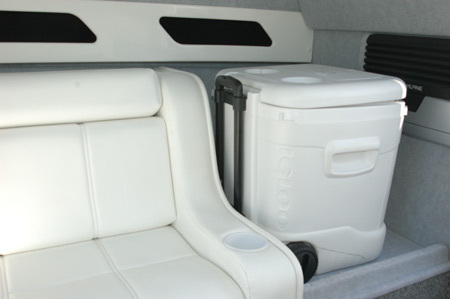 Why not have a portable ice chest on wheels and keep it in the cabin? No more lugging an overfull cooler from parking lot to the dock. It’s on wheels…just tote-it.